Situated just north of the gentle slopes of the Dene, the East Green offers a tranquil, grassy area for relaxation. The landscape is a designated Quiet Zone, making it an ideal place for sunbathing, reading, or small picnics. In the spring, the nearby magnolia, crabapples, and Kwanzan cherry trees put on a spectacular show of pink and white blossoms. 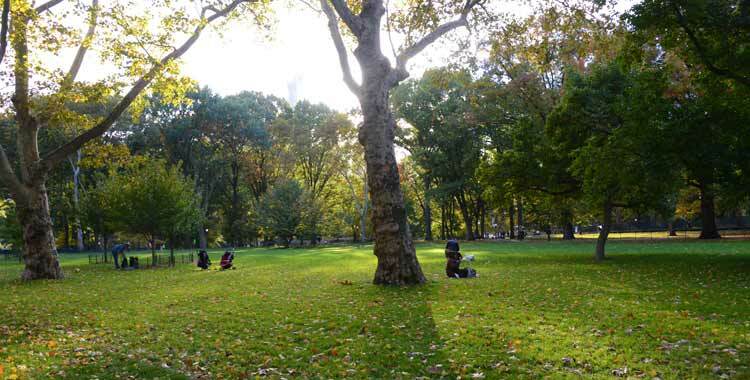 Central Park Conservancy first restored the East Green in 1984, and a 1989 endowment has empowered its ongoing care and restoration. East Side of the Park from 69th to 72nd Streets.